Solvers must resolve all clashes thematically, and complete the unclued grid entry at 44 across. To enter the competition send your solution, in list format, to me at derek@crosswordcentre.fsnet.co.uk before the 1st April. 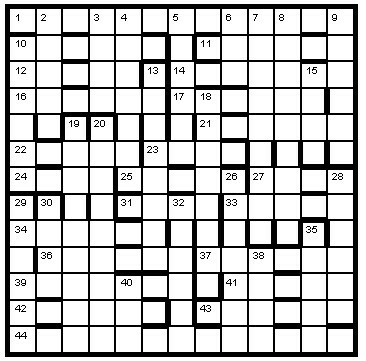 The first correct entry picked will win a copy of Chambers Book of Araucaria Crosswords v.2 which has been donated by the publishers.